Display screen equipment assessment is important in ensuring the health of the individual and also of your staff. We have evolved for millions of years to walk around and be active. We are NOT designed to sit. 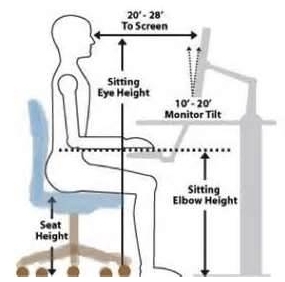 It is for this reason that we need a work station that has been evaluated and tailored to an individuals body type. Whether you are a small or large business we can offer a service that will meet your needs. Please enquire for a quote on the cost associated with this service.